I still really love the look of the Trinote...SO. DARN. TEMPTED. @Rori - I'm ALWAYS tempted whenever Laurie posts something about the TriNote. It's like the Loch Ness Monster in my parts, though, as I've never been able to find one. And when I've tried to order online, I'm shut out because it's when they've been sold out for the year. 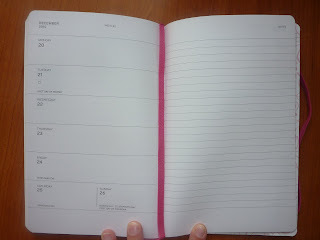 I was looking some advice, I like the idea of a weekly planner, i need to see the whole week at once to allow for forward planning, but I also would like a monthly overview at the start of the month to mark important appointments and I would also like lots of space, to track meal planning and it be relevant to each day, I would also like to keep track of my spending in it and appointments. But any advice or pointing me in the right direction I would really appreciate it. 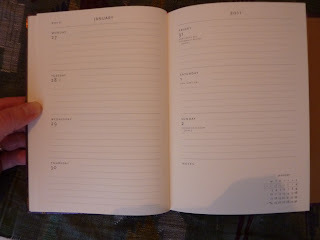 Ps I also like reasonably wide colums to write in so a vertical weekly wouldnt really work for me! Sorry to b a pain but I know you guys will understand, everyone has there own ideals! Hi jemz001, don't worry, we all ask a lot of our planner! 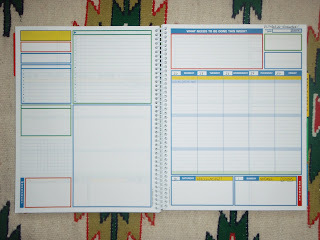 I think the hardest part will be finding a planner that can do all that and has the monthly view at the beginning of each month (embedded within the weeks). Planners I know of that do that are the Plan-It and the Success Planners, both are in this post. If you can be satisfied with the monthly views grouped together at the beginning of the planner, your choices will expand hugely. 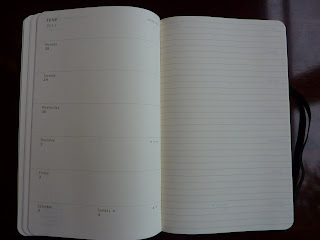 All the Moleskine and Paperblanks planners have month per page calendars at the beginning of the book. 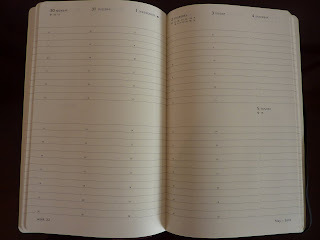 You might look at the Moleskine Horizontal Weekly which has wide day spaces that should have lots of room for you to write. 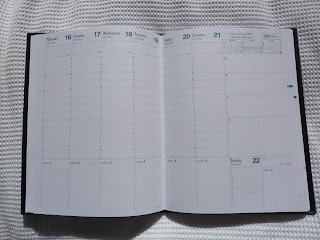 I just got an email this morning from Moleskine that they now have 18 month weekly horizontal planners in the black soft cover, which is brand new. 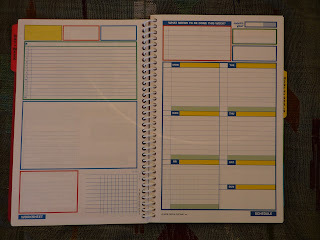 If you don't mind a ring binder (which can be bulky) you might look into Filofax or Franklin Covey. You can have any kind of pages you want, or create sections for each topic. 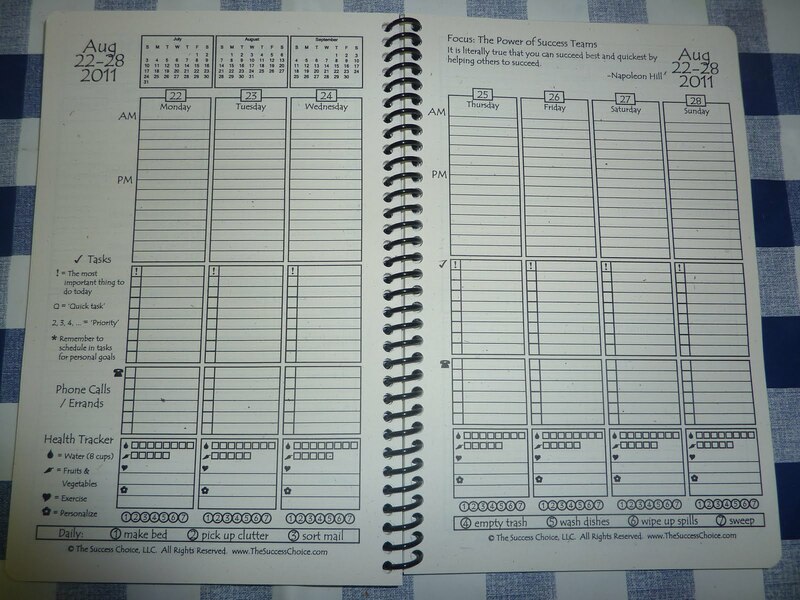 Franklin Covey has the advantage of allowing the monthly calendars to go between the weekly views, which Filofax does not. I hope this helps! There are so many options out there. Let me know if any of these suggestions look appealing or if you would like some more ideas! @terriknits - the reason i prefer not to use a coil book is as I always find that the coils catch when its in my laptop bag and easily falls apart. 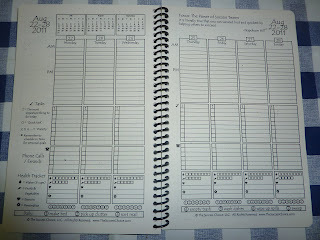 @Laurie - I am happy enough with the monthly sections at the front. 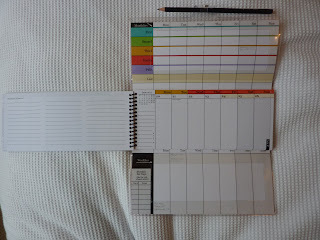 I am not sure if you are aware of the company but I currently use www.ktwoproducts.com and I use the work and home planner. This has no monthly section and somedays I struggle for space with it. Thanks for the ideas and I will have a wee look, I previously had a moleskin but i found it a tad...plain. But so glad to have found your blog its great to see other planners esp pics of the planners actively being used. I hear ya about taking pages out of my binder to write on them. It takes too much time, and unless the page I'm removing is directly in the center of the rings, I'll have pages spilling out. I'm usually out and about when I'm writing in my Filofax so spilled pages would be a total disaster! 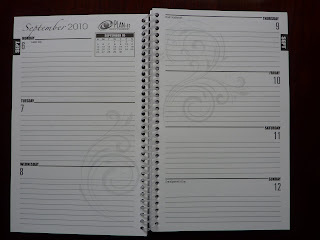 So, what brand of planner do you like that is bound and lays flat? I know the Moleskines are great for this, but I'm curious if you're using a different brand (and maybe one I don't know about!). I too have to have a book that opens flat. I've rejected planners in the past for not laying flat so this is very important to me too!